A well functioning digestion is the key factor to having a flat stomach. You need to have a healthy and clean colon in order to have regular bowel movements. Depending on how long you have been eating an unhealthy diet, your colon might be full of toxins and unable to absorb all nutrients. A clean colon is the key for an intact digestion . The easiest way to cleanse your colon is to go to a series of colonics. I usually go 4 times a year when the season is changing to give my body a good cleanse. If you don’t find the idea of going to a colonics very appealing, there are a few home remedies you can do daily to support a healthy colon such as cold pressed green juices, lemon water and soaked chia seeds. My favourite place for colonics in London is KX. It’s a private member club, however, the Spa is open to everyone and their colonics are fantastic. Proper food combining plays a huge role in order to prevent bloating. My rule is the simpler the better. If you focus on eating only one type of food at a time, your body has to produce only one type of enzyme to break down the food and it will be digested super quickly. 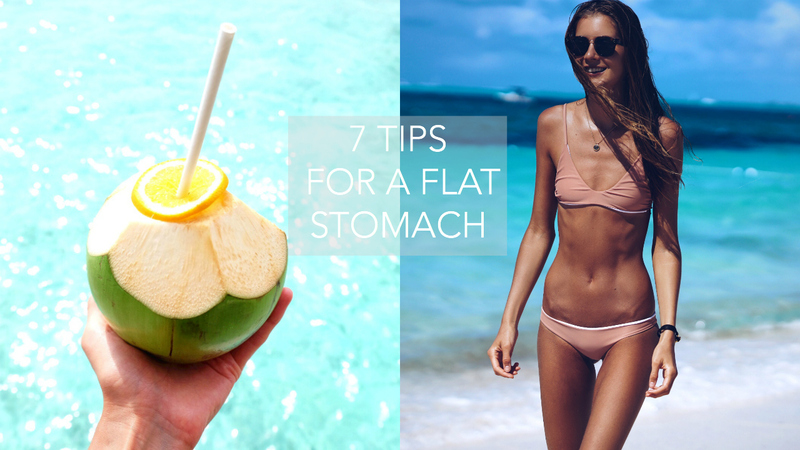 Especially in summertime when we want to have a flat stomach all day long, I eat a mono meal of fruit for breakfast and often times for lunch as well. My favourite mono meal is watermelon!! Try to sit down for every meal and don’t eat on the go. When I lived in New York i used to always eat on the go and didn’t really take the time to have a proper meal. Eating too fast will causes gases and ultimately leads to being bloated. Try to sit down to enjoy your food and put your knife and fork down after every mouthful. This will help you to chew more carefully and to entirely focus on eating without being distracted. It really is just a matter of getting used to it! 🙂 I now love to take the time to prepare my meals and take minimum around 1 hour to enjoy my dinner. Salty foods might be the reason you look puffy and bloated. If you want to have a flat stomach and become leaner, stay away from salt and instead use spices and herbs to add more flavour. Be aware that salt is hidden is all types of foods these days such as salad dressings, pasta sauces, crackers, bread and ready to eat meals. Before going vegan I had a weakness for sweets and could easily eat a whole apple tart by myself. Processed sugar is not a real food. 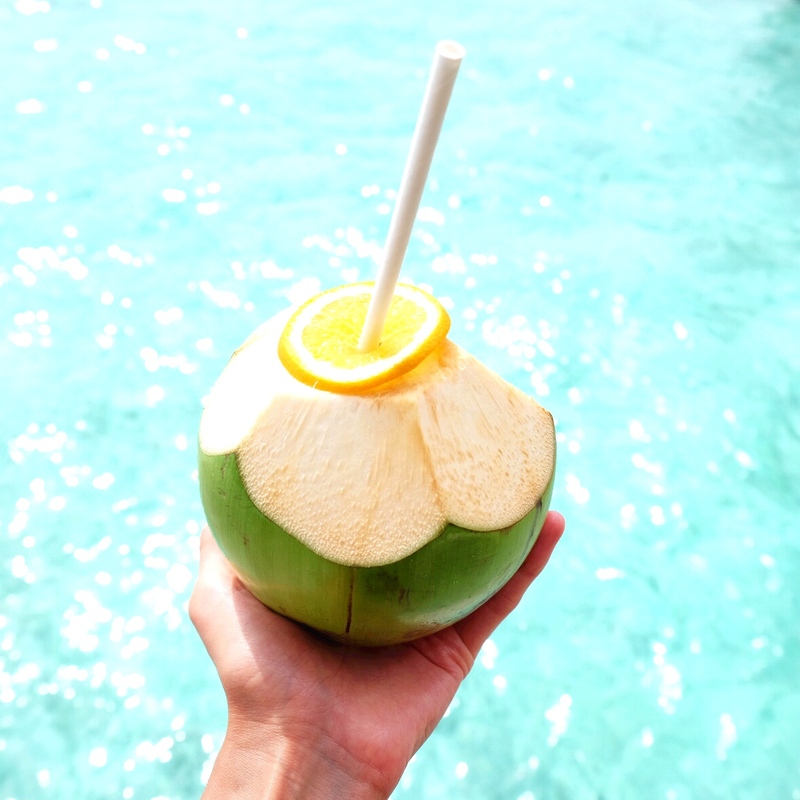 It has no fibre, no water, no vitamins or minerals, raises your blood sugar level, leaves you feeling slughish and tired and gets stuck in your colon. I still have a big sweet tooth but am now satisfying my cravings with sweet fruits and dates. 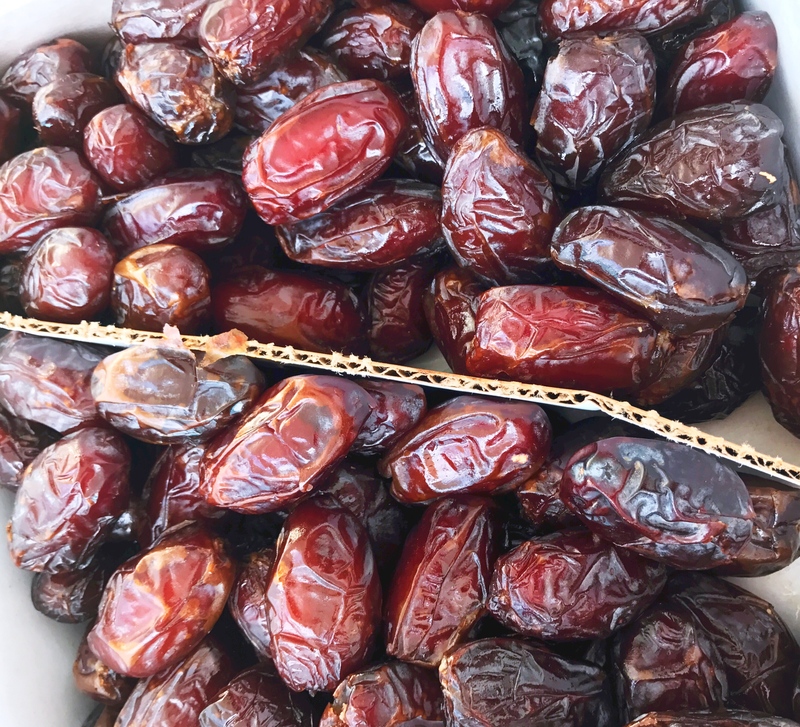 Medjool dates are so delicious and literally taste like caramel!! They also are so healthy for us and the best alternative to regular sweets. Click here if you want to know more about the benefits of dates. You don’t have to do an intense workout every day, however, try to be active on a daily basis. By that I mean go for a 30 min morning walk, take the bicycle to work, take the stairs whenever you can etc. Remind yourself that you need to get your heart rate up at least once a day to boost your metabolism and to burn more fat. Love your e-book and site! But i had a question, because when i cook my last meal I normally use some jodium salt, because where else doe i get my natrum and jodium from? I dont eat processed food, only fruit, vegetables, quinoa, avocado, oats, etc. I mean i can live without, but i cant live without jodium or natrium, how do you get this? Or put you some salt to your last meal? I am vegan and a fruit lover like you but i love to eat vegan jelly sugar free. I heard that if you eat for example dates right after your meal that will not affect the bloating because only 30 minutes later your digestion starts. ive been eating a high fruit vegan diet for the past 8 months and have no problems with weight ive just been told by my running coaches im over working my panckrease and stuffing up my blood sugar levels by eating so much fruit and not much else, but i only feel my best on fruit i just dont wont to ruin my insides, thankyou!! I love to hear that you feel amazing on the high fruit diet and hope you didn’t change anything :):) There is really no need to listen to people who tell you fruits have too much sugar. Fruits contain a lot of fibre, water, minerals, vitamins etc and don’t interrupt your blood sugar levels at all!! In fact they prevent sweet cravings and keep your blood sugar levels stable which is not the case if you eat refined sugars, honey, etc. What fruits do you not eat? I never see you eat any apples, is there a reason for this? How do you choose which fruits are the best? there are def ways to replace eggs & fish (protein & fats) with plantbased options such as avocados, chia seeds, almonds, almond milk, beans, chcikpeas, tofu etc. and if you do feel like you want to eat more vegan foods those would be my alternatives. 🙂 There is a great new movie called “What the Health” that may change your opinion about eggs:). Aww wow so happy to hear that!!! ::):) Sorry for the late response! Würdest du mir veraten, woher du deine tollen Ketten hast? Die beiden die du fast auf jedem Foto anhast? How many times do you train? 1. What do you eat (if you eat) before / after a workout. And how long before / after, time wise. Like do you always eat 30 min before and then 1 hour after or what do you do? 2. Do you ever feel cold when only eating fruits and veggies? I tend to be really cold even when everyone around me are feeling too warm. So happy to hear that you are following my blog @ social media 🙂 ! 1. I usually eat 30min -an hour after my workout. Your body still burns fat after the workout and if you wait around 30min before having food you dont distract that process. If you are hungry beforeworking out I recommend to have fruits or a smoothie so your body doesn’t spend too much energy on digesting the food. Love your blog!! I have been vegan for 3 years and I have never felt better! I was just wondering if you would recommend eating corn or do you eat it? thank you so much! So happy to hear that!! I love corn but dont eat it that often for some reason. It is def a good source of carbs and I would recommend to get the fresh one instead of the precooked packaged one. Hi Caroline! I have been eating only fruits for 4 days now but I am TERRIBLY bloated. It is really not normal how bloated my belly is. Is this normal? Will it go away? What do I do wrong? Please help me! Its normal to be bloated in the beginning. 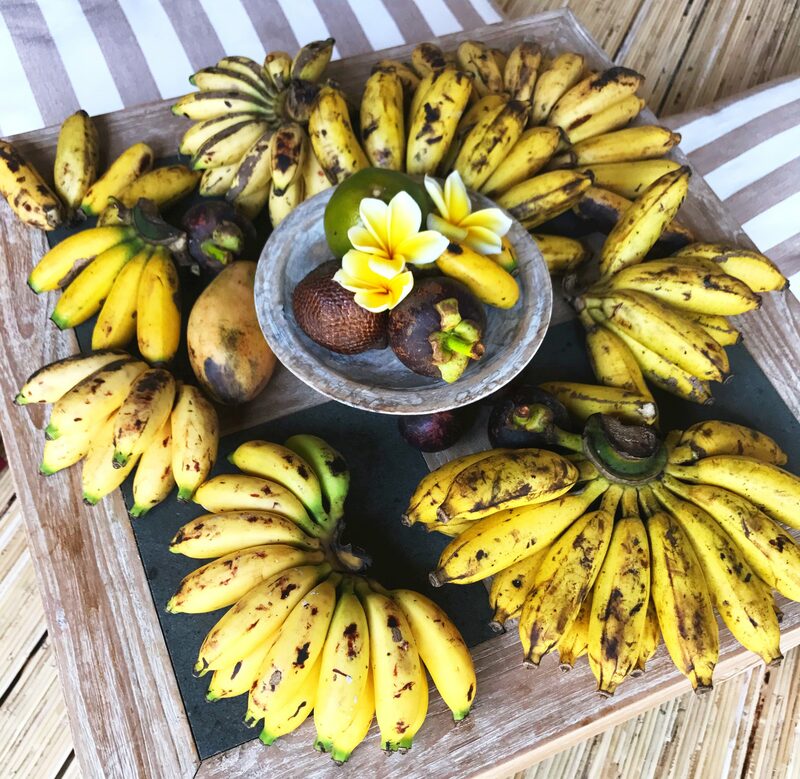 Your body needs to get used to eating more raw fruits & veggies.My Tips are 1.Eat fruit mono meals 2.Only eat ripe fruits (bananas are ripe when they are spotty) 3. Never eat fruits after cooked food 4.Drink 3 liters of water daily (more if u worked out a lot.) 5. Do 30min of cardio before breakfast to give your metabolism a kick start. Hope that will help you! Whenever I follow the fruitarian diet, I feel really full and bloated, when my stomach is usually very flat. About how long does it take for your body to get used to the diet and really start to slim down? Like I watched your YouTube video about raw vegan weight loss and I was wondering, from your first photo, how long was it before you saw yourself beginning to slim down? I get nervous when I don’t see results and I feel more full than usual that I tend to end the diet after a week. Its normal to be bloated in the beginning. Your body needs to get used to eating more raw fruits & veggies.My Tips are 1.Eat fruit mono meals 2.Only eat ripe fruits (bananas are ripe when they are spotty) 3. Never eat fruits after cooked food 4.Drink 3 liters of water daily (more if u worked out a lot.) 5. Do 30min of cardio before breakfast to give your metabolism a kick start. I’ve read in several blogs that apples and watermelon can cause abdominal bloating. Do you think that we should avoid a certain tip of fruits? Its normal to be bloated in the beginning. Watermelon is one of my favourite fruits and you should not miss it! :):) Don’t mix watermelon with other fruits as it digests super quickly and can make you bloated if you combine it with other fruits. Also never eat fruits after cooked food and drink 3 liters of water daily (more if u worked out a lot.) Hope that will help you! You will 100% lose that weight again.It is totally normal to first gain weight on that lifestyle if you come from a restrictive past because your body needs to get used to eating more raw fruits/ larger portions. A high in animal protein and low carb diet is extremly unstable long term and will always lead to cravings. Your body needs time to adapt to the new diet because it has been getting only small portions and less calories in the past. It took me over a 1 until i first started to see changes in my body (more toned & fit).I never weigh myself and dont know if i gained weight first but I def didin’t lose weight right away. Do you use a daily probiotic? What brand? Hi Love, i use the ones from BIO KULT. I don’t take them daily but its def a great supplement and you can take 2 per day. Hello i want to start off by saying that you’re such a huge inspirstion and i would love to try being vegan! But i live with my family still and i don’t want to make it seem like i hate my mom’s cooking. Also, i’m rather terrified of giving up my favourite foods (i used to hate eating vegetables and now i don’t mind eating them). How do you suggest i go about starting this new lifestyle? Thank you so much:))! So happy to hear that! I would start by adding lots of fresh fruits/dates/steamed potatoes/veggies etc to your diet. That way you focus on adding good stuff and not on cutting out all your fav foods:)) You will automatically eat less non vegan food then. You can also explain your mom that you really appreciate all her effort in the kitchen and if she would mind if you cook a few times per week a vegan meal for everyone instead:-). Everyone usually loves vegan curries, pasta dishes and vegan pizza:))! There is also an amazing new movie called What The Health which is so helpful especially if you want to educate your family:))! There is a post here on my blog with tips for beginners:)! Thanks for these tips. I have recently decided to start living a. healthier life. I’m 16 and I recently come across your blog, instagram, and youtube pages which I am totally obsessed with. I became vegan 7 months ago, but I’ve slipped a few times to make it easier for mom around christmas etc. I have two questions. 1. How do I stay vegan on holidays? Do you have any food ideas for christmas, thanksgiving etc.? 2. I’m spending 10 weeks working at a camp this summer. They only have oranges, apples, bananas for fruit, and a small handle full of vegetables at the salad bar. I have 1 day off every week where I can go to the market and get amazing fruits and veggies, but I don’t know the right things to buy in order to make them last (i won’t have a fridge) and make sure I’m getting the proper nutrients. Any tips? so happy to hear that you are feeling inspired:-))! I always prepare lots of vegan food for holidays and bring them to family dinner etc. :-)) that way my parents dont have to worry about me and Im happy to have my own food:-))! If you go to restaurants, you can call before and ask for a vegan option 🙂 They are usually keen to help. Hope these tips help a little:)!